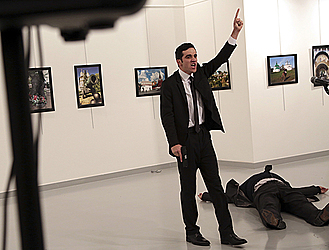 ANKARA, Turkey (AP) — An Ankara police officer dressed in a suit and tie shouted slogans about Syria's civil war after he killed Russia's ambassador to Turkey in front of stunned onlookers at a photo exhibition in the Turkish capital on Monday, according to officials and an Associated Press photographer who witnessed the shooting. Police later killed the assailant. Ambassador Andrei Karlov, 62, was several minutes into a speech at the embassy-sponsored exhibition in Ankara when a man identified by Turkey's interior minister as Mevlut Mert Altintas fired at least eight shots, according to the AP photographer in the audience. Interior Minister Suleyman Soylu said Altintas, who was born in 1994, had been an officer with Ankara's riot police squad for more than two years. Soylu did not give a motive for the attack. The gunman approached Karlov as he lay on the ground and shot him at least one more time at close range, according to the AP photographer. The attacker also smashed several of the framed photos hung for the exhibition. There was panic as people ran for cover. Three other people were wounded in the attack, Turkey's NTV television said. After shooting the ambassador, the gunman climbed to the second floor of the same building and a 15-minute shootout with police ensued before he was killed, Turkey's Anadolu news agency reported. Karlov joined the diplomatic service in 1976. He served as Russia's ambassador to Pyongyang in 2001-2006, and later worked as the chief of the Foreign Ministry's consular department. 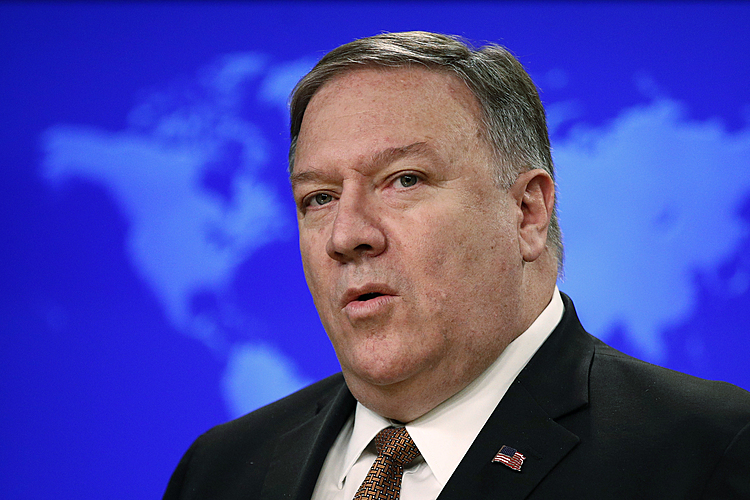 He had served as the ambassador to Turkey since 2013. Relations between Russia and Turkey were badly strained by the downing of a Russian warplanes at the Syrian border in November 2015, but Turkey's apology earlier this year helped overcome the rift. The leaders of the two countries, Presidents Vladimir Putin and Recep Tayyip Erdogan, have held several meetings in recent months and spoken frequently over the phone.